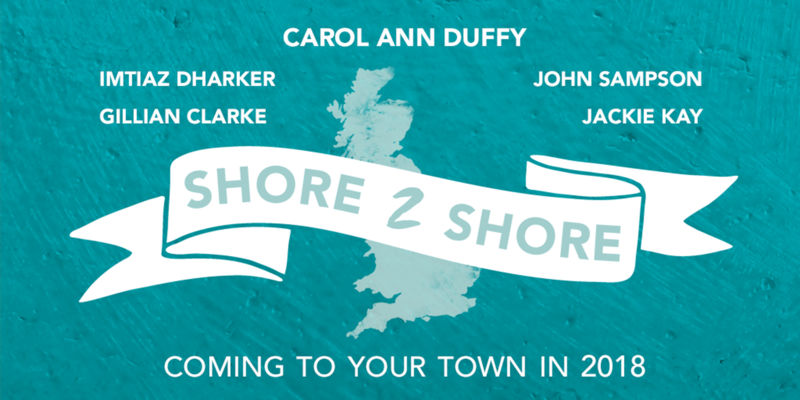 We're delighted to be bringing Carol Ann Duffy's Shore 2 Shore back for Independent Bookshop Week 2018. Find out the bookshops we'll be visiting here. Following a hugely successful first tour in 2016, Picador is delighted to share the news that Shore 2 Shore is returning for Independent Bookshop Week 2018. Poet Laureate Carol Ann Duffy, accompanied by Gillian Clarke, Imtiaz Dharker & Jackie Kay, along with musical MC John Sampson will cross the country to visit and perform in nine independent bookshops, joined at each one by a local poet. Off the Shelf: A Celebration of Bookshops in Verse will be published by Picador in paperback on 14th June 2018. More information on timings and ticket sales will be available soon. The first Shore to Shore saw Carol Ann Duffy and her hand-picked fellow artists travelling across the UK, performing their work, celebrating independent bookshops and bringing poetry to the heart of the communities that they serve. 1,500 miles were covered, audiences of well over 3,000 attended 15 events and nearly 2,000 books were sold.